Last weekend, a developer (and redditor) posted on Andreddit to promote his new game, Clever Contraptions. He said he was "inspired by the classic game 'the incredible machine' [sic]" - a promise that triggered my nostalgia and prompted me to download it immediately. In the days since, I've managed to spend a bit of time with the game, and I have to admit I've come away pleased, despite a few minor niggles. 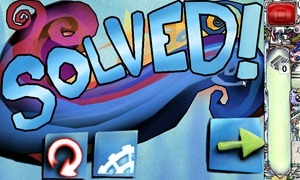 Clever Contraptions is an entertaining puzzle game with incredible, life-like physics simulation. The purpose is to perform such seemingly simple tasks as putting a ball in a basket by building intricate, creative chain reactions. 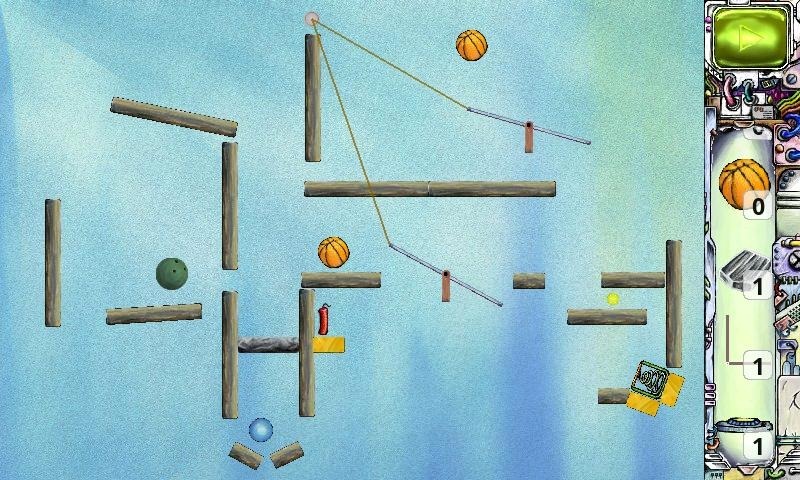 In each problem you are asked to complement a contraption using the gadgets provided: balls, springs, trampolines, ropes, and countless others. Unleash your inner MacGyver! Clever Contraptions is suitable for the whole family. A word of warning though: some use of your brain, a bit of patience and sometimes luck might be needed! More episodes and gadgets to play with. Free construction mode. 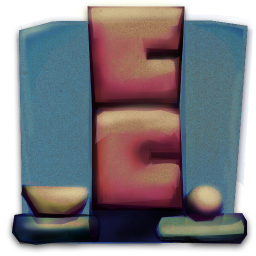 Create your own contraptions with unlimited everything! Future updates will bring new content. Let's start with what it does well: as the game is essentially a TIM clone, I'm happy to report that it does so successfully. Traps are fun, and the game has a steady progression in terms of complexity, design, and tools. The UI is direct, intuitive, and easy to use. On the downside, while the actual in-game graphics are fine, the menus and transition screens are (in my opinion) sometimes fantastically ugly. 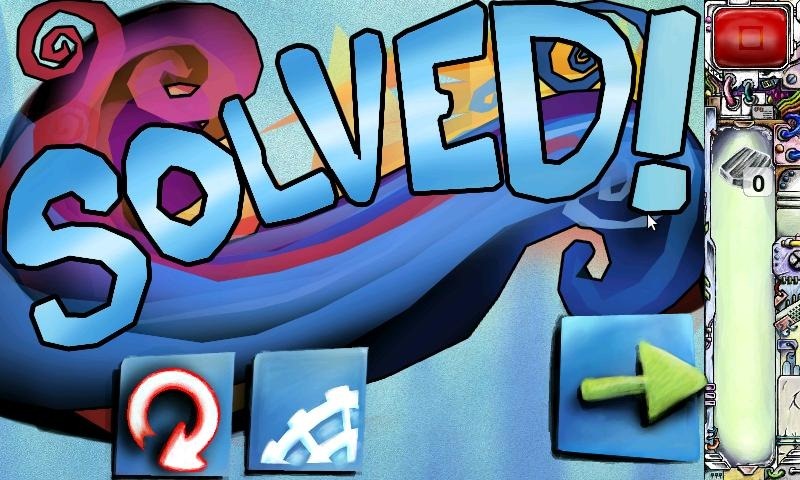 As with any puzzle game, there's a (sometimes infuriating) learning curve involved. And... well, if I'm being honest, either Clever Contraptions is harder than The Incredible Machine was or I've lost a lot of brain cells in the years since I've played TIM (not sure which it is, but I can't help but feel it's the latter). 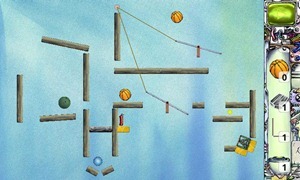 Either way, fans of The Incredible Machine - or puzzle games in general - will get a huge kick out of Clever Contraptions. Hit up the widget below to snag the free version, or go all-in and purchase the full version for $2.